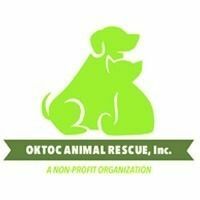 Hosted by: Oktoc Animal Rescue, Inc.
Oktoc Animal Rescue is always in need of specific supplies to help improve the daily health and quality of life of the animals we have at our shelter. We are looking for volunteer groups to conduct pet supply drives to collect the following items throughout the year to help keep our shelter stocked. For more information, please contact Wendy Gullet at oktocanimalrescue@gmail.com. Log in to see who is volunteering for Pet Supply Drive for Animals in Need at Oktoc Animal Rescue!